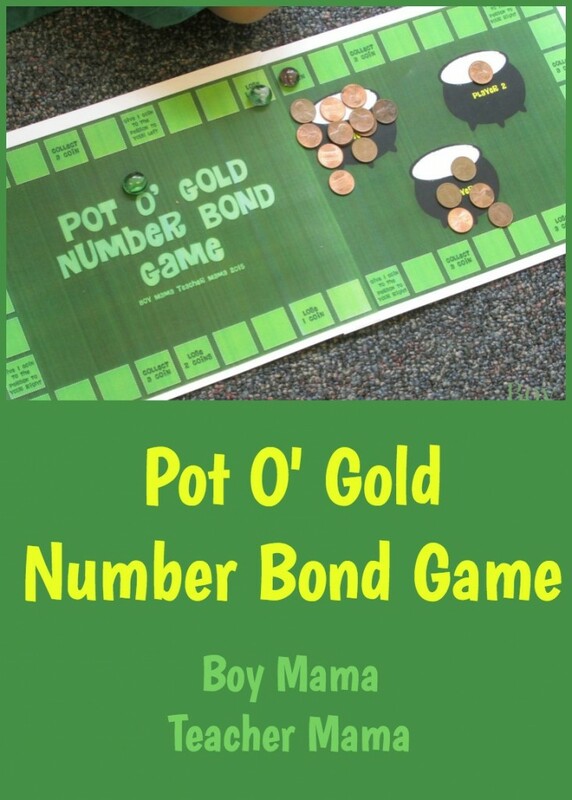 Print the templates and glue the two sides of the game board together as shown below. 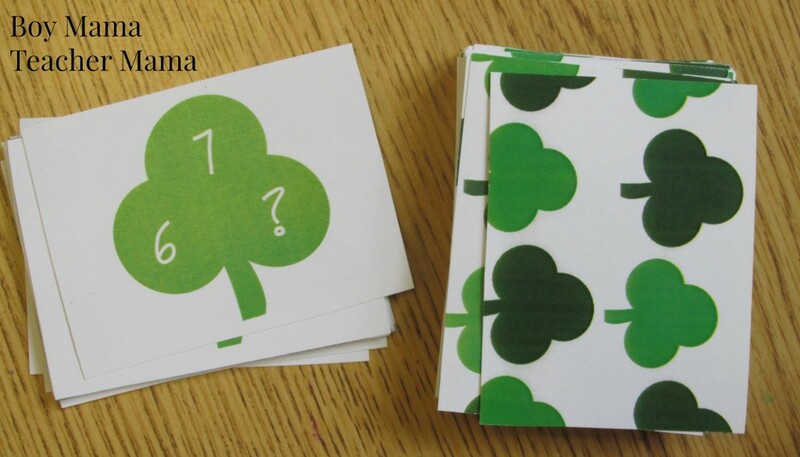 Copy the playing cards with the number bonds on one side and the shamrocks on the backside. 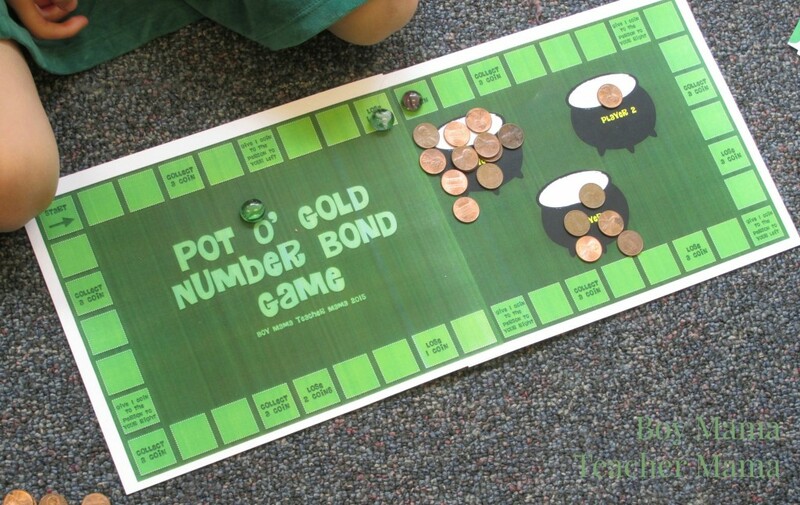 Players determine who is player one, two and three then locate their pot o’ gold on the game board. 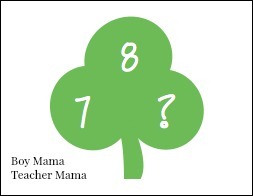 For example, player one picks the following card, completes the number bond with a 1 and then puts 1 coin in his/her pot o’ gold. Other players do the same until someone makes it around the game board or until time is up. Player with the most coins at the end may be declared the winner.